RC Durango Daybreak, "The Hands on Club" is always looking for opportunities to make lives better. Recently, an opportunity to create a playground for the children who visit Manna was discovered. Manna (mannasoupkitchen.org/) provides programs and services for people in transition in Durango. They offer quality balanced meals (over 65,000 in 2015) and programs to prepare people for working in the food industry along with other basic personal services (showers, laundry, haircuts, dental, vision, transportation, and prescription). They have a large garden tended by clients and a backpack program for school aged children. It is a gathering place for many of Durango's homeless and transients. Children often accompany their parents at Manna but there was no place in the facility specifically for children so they intermingled with the adults. Enter the RC of Durango Daybreak, “The Hands on Club”. Annette Angst, a member of the Community Service Committee, brought this opportunity to the committee after conferring with Kathy Tonnessen, Manna Executive Director. A place for the children to play was identified and a plan developed which included a mulched play area with a swing-set. After donations were secured and the final costs calculated, a District Grant was applied for and approved. The apparatus was ordered and construction of the play area began. Donated timbers and mulch were put in place by members and friends. The swing-set and associated climbing structure were assembled by member volunteers during a workday assisted by friends and the DHS Interact Club. With just a few dollars left to spend, Annette found an opportunity to purchase a musical instrument from Freenotes Harmony Park. With some skillful negotiating and creative financing she was able to secure the instrument much to the delight of the Manna staff and young clients. 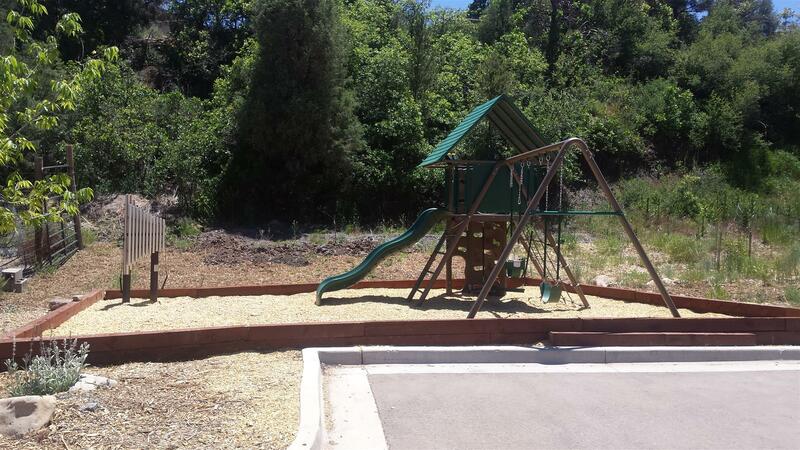 This project only came about because of the tireless efforts of the project leader, the help of many Daybreak members, Manna staff and clients, DHS Interact, and the donations from Alpine Lumber, Native Roots, Freenotes Harmony Park, Home Depot, Ted's Rentals, and Durango Nursery. And lastly, a big “Thank You” to the Manna management and staff for their support and help.